It doesn’t seem that long ago (February and March this year) that I wrote a couple of posts featuring motley arrays of offbeat science fiction and pseudoscience books, which I described as research for a book I was writing. So I’m really pleased to be able to follow up those posts with the array of books pictured above – my author’s copies of Pseudoscience and Science Fiction, which has just been published by Springer. 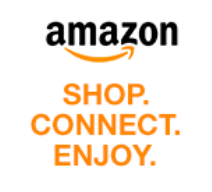 This is one of the world’s biggest academic publishers, based in Germany, and they really do have a very slick and streamlined system for getting books out quickly and to a very high professional standard. I know what you’re thinking. Why should a prestigious academic publisher want to touch a book about such non-academic topics as pseudoscience and science fiction? Well, they do popular science books as well, and one of their ongoing lines is called Science and Fiction. Aimed at “science buffs, scientists and science fiction fans”, the series is a mixture of fiction (often written by professional scientists) and non-fiction. The latter primarily looks at the “real” science in science fiction, in a similar vein to some of Brian Clegg’s books (cf. From Science Fiction to Science Fact). But I felt there was a gap in the market that needed to be filled. What about the pseudoscience in science fiction? After all, pseudoscience is a lot more exciting – and much easier to understand – than real science, and hence much more fiction-friendly. On top of that, there are numerous examples of explicit interactions between science fiction and pseudoscience – much more than between either of those disciplines and academic science. This is a subject I felt eminently qualified to write about. My house is filled with books, and perhaps two-thirds of them are science, pseudoscience or science fiction. Not to mention my vast collection of Fortean Times magazines, going back more than twenty years. 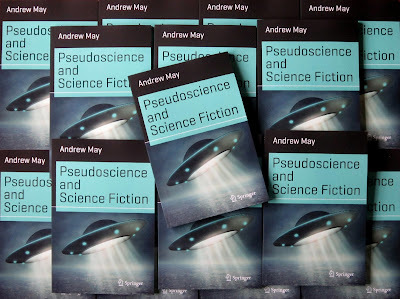 I just searched the final text of Pseudoscience and Science Fiction for “Fortean Times”, and it appears 55 times in 180 pages! So I had great fun writing the book, and I really hope it will appeal to the target audience of “science buffs, scientists and science fiction fans”. You managed to keep that down to 180 pp? I would've had to run on and on and on...congrats on the new book and I hope it does well. It should have a pretty broad niche for its market. Thanks Peni - I hope you're right!